Philip II, King of Macedon and father of Alexander the Great, originally planned the conquest of Asia. A small expedition had already crossed the Dardanelles when Philip was assassinated in 336 B.C. Succeeding his father and having secured his kingdom, Alexander began his own preparations for the invasion of Asia. In the spring of 334, he crossed the Dardanelles and set out on what is possibly the greatest military expedition in history. Peten Travels takes its visitors on a specially-designed tour that follows in the footsteps of Alexander the Great, following his spectacular feats across Anatolia. The tour will be led by an expert in the field and will be augmented, when possible, with input by local specialists. Experiencing this extensive itinerary will allow travellers to truly appreciate the details of Alexander’s historic campaign. We follow his exact route, and at every stop we consider the challenges he faced and the strategies he crafted. From the mighty walls of ancient Troy to the soaring columns of the temple at Didyma, to the now-quiet banks of the Issus River you will leave Anatatolia with an admiration of Alexander as well as the larger world he helped create. Members of our staff greet you at Atatürk airport and arrange for your transfer and check-in at your hotel. Our small group of travellers will enjoy a welcome drink and then dinner. The great metropolis of Istanbul, Turkey’s most dynamic city, gateway between east and west. An introduction to this journey will appropriately begin beside the Alexander Sarcophagus in the archaeological museum, followed by some sightseeing on foot in the old city. Leaving Istanbul early in the morning we proceed in our comfortable vehicle to the Dardanelle Straits. On the way we pass Sestos, where Philip left his army under the command of Parmenio. We shall cross the straits head to Illium (Troy) where Alexander landed in imitation of Achilles. Here he made a sacrifice in the old temple of Athena, and brought away the sacred shield, which was later to save his life. Continue to the Achaean Harbor near Rhoeteum. According to Diodorus, Alexander went there to declare Asia, “spear won land”. We view the shores of Rhoeteum and Sigeum, which are bordered by the Scamender River. We visit the tombs of Achilles and Patroclus where Alexander and his inseparable companion Hephaestion laid wreaths and then ran a race around them, naked and anointed with oil. (Prepare yourself for a good hike in the Plain of Illium). After breakfast we set off for Çanakkale’s Archaeology Museum, which houses two unique sarcophagi. One is the first relief sculptured sarcophagus and the other one is the world’s first painted Persian sarcophagus. The rest of the unique finds displayed here are from Troy and its surrounding cities. Continue on to the Plain of the Granicus to observe the topography of the terrain and the military positions taken by the Persian and Macedonian armies on the hillside and river bank. This morning we drive south to the land of Croesus to visit Sardis, the wealthy capital of the Lydians located at the head of the Royal Persian Road to Susa in modern Iran. Alexander garrisoned at Sardis and restored to the Lydians the right to be judged by their own native laws. A short drive takes us to the large Temple of Artemis with 20 columns long. 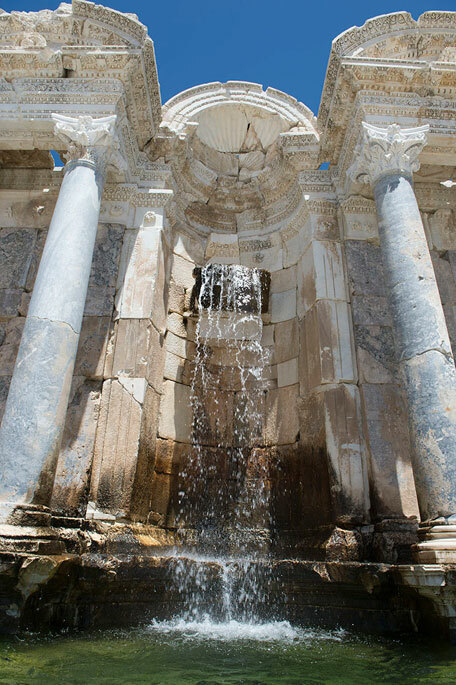 Explore the agora of the ancient Smyrna at the foot of the highest hill in İzmir constructed during the rule of Alexander the Great, and the spring nearby which Alexander is believed to have dreamed of rebuilding the city. The current excavations are revealing the heart of old Smyrna in all its glory. We visit the excellent İzmir Archaeological Museum. 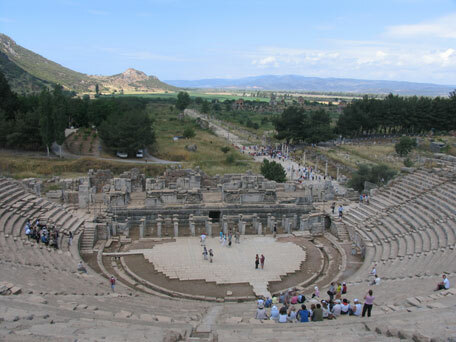 Today we will drive up to the ancient walls of Ephesus and walk along the walls and drive to the Temple of Artemis. After a relaxing lunch and the departure of many tour buses we enter Ephesus. It was here at Ephesus that the citizens welcomed Alexander, who established a democracy and restored the exiles. He also offered to dedicate the new temple to Artemis. 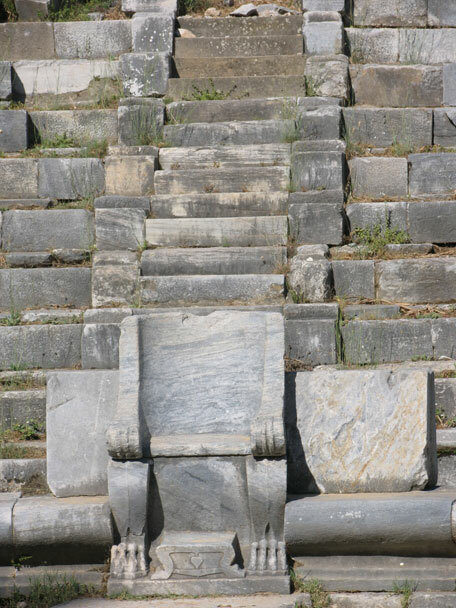 A leisurely morning is followed by an afternoon drive south to the Ionian coast where we will walk the stepped street of Priene. 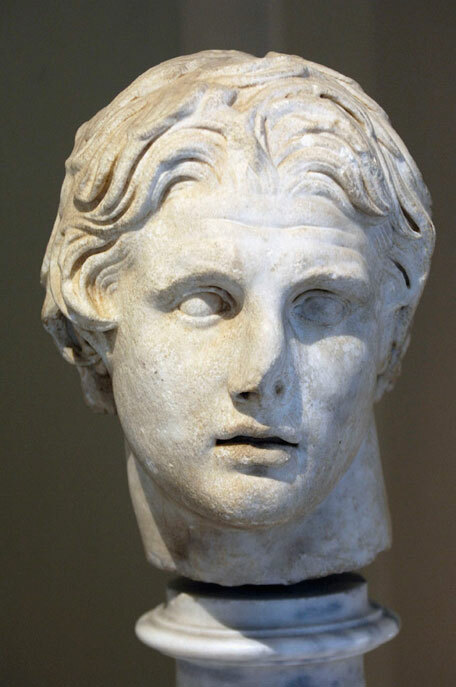 Here Alexander contributed to the construction of the temple of Athena Polias, which was dedicated to him. 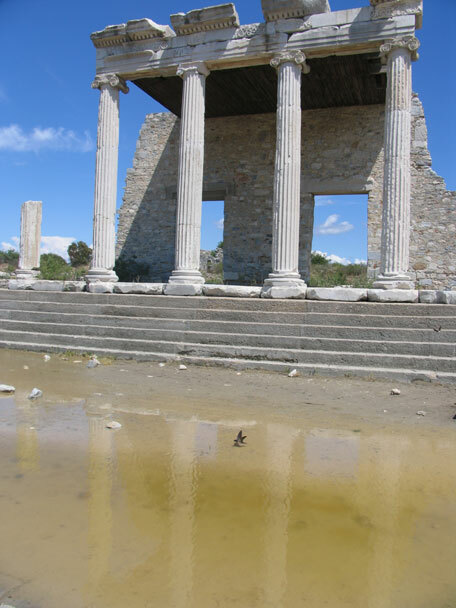 Driving through the Meander Valley we reach Miletus where Alexander faced serious opposition. Despite the strength of the defending forces, he besieged the city by land and sea and managed to capture it in just days. In the morning we set off on our leisurely drive to Bodrum. 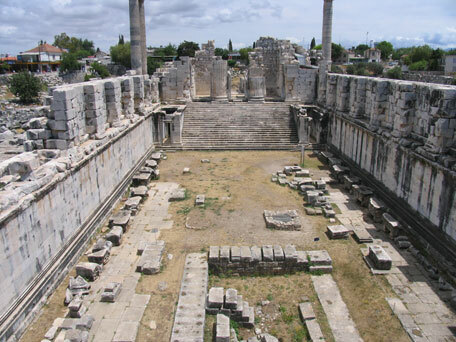 Along the way we stop to see the temple of Apollo at Didyma, one of the most spectacular monuments still remaining. It was here that Alexander’s ultimate victory over the Persians was prophesized. In the autumn of 334 Alexander marched into Caria. We follow his footsteps, passing from Ionia to Caria by way of the Maryas Valley. 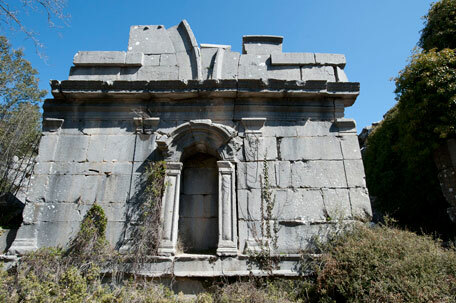 We enter the Arian city, Iasos, and explore one of the prettiest sites in Turkey. Alexander made a local boy, who swam with dolphins, priest of Poseidon. We end the day in Bodrum at our hotel. In Bodrum, the birthplace of Herodotus, we visit the site of the celebrated Mausoleum of Halicarnassos, and the remains of the fortifications against which Alexander led a desperate seige. 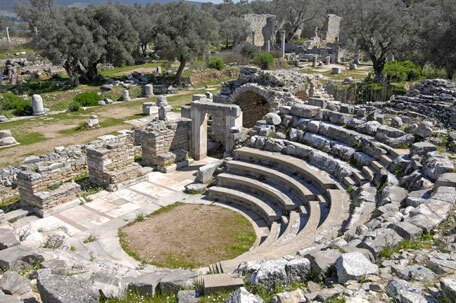 We travel to Lycia, as Alexander did, following the line of the modern road to Pınara. On the way he was informed of the surrender of Telmessus and was well received by its citizens. Pınara also surrendered to Alexander the Great. In Göcek we board our luxurious gulet*. We now have a chance to relax and swim aboard a traditional Turkish gulet, as we sail along Lycia’s turquoise coast. This represents the perfect opportunity to reflect on Alexander’s navy and the ancient Mediterranean in general, while we go ashore to see the remains of once grand cities. We visit the capital city of Lycia, Xanthus, which gave itself up to him along with 30 other smaller Lycian cities. After a short drive to Letoön, we explore the shrine dedicated to Leto and her children Apollo and Artemis. It was believed that Alexander received the famous prophecy concerning the destruction of the Persian Empire here. After breakfast we disembark and are met by ground transportation takes us to the triple-harbored Phaselis: a city later renowned for possessing Achilles' original spear, and for being the haunt of pirates. When Alexander arrived, the people here crowned him with golden wreaths. When he left, he gambled on a short cut around the coast. Supposedly the sea parted in supplication, making way for his army. This morning our driver takes us up the mountains of Pisidia to explore Termessos, one of the rare cities to say ‘no’ to Alexander and still survive. We check into our special hotel in the old city of Antalya. Alexander marched north, by way of Sagalassos where archaeological excavations have revealed a vast, impressive ancient city captured by Alexander in a bloody siege. We proceed to Celaenae (Dinar) via Lake Burdur, an important center of communication with roads that ran west to the Hermus and Meander valleys. Guests have the opportunity to enjoy the thermal pool before dinner in the hotel. In the morning we drive north to the Phrygian Highlands to visit the city of King Midas, Gordion, on the River Sangarius, southwest of Ankara. Alexander longed to visit the acropolis to see the ancient wagon of Gordias, founder of the old Phrygian monarchy. And it was here that Alexander cut its knot with his sword. 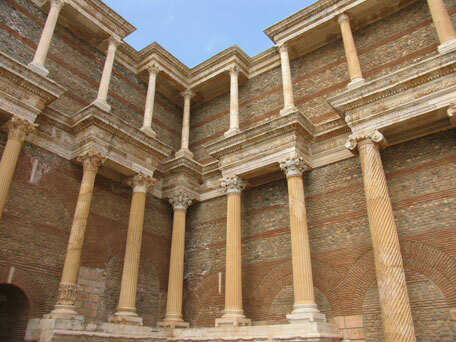 From Gordian Alexander advanced to Ancyra, the modern Ankara, where Paphlagonian envoys met him, offering submission. We follow Alexander to Ankara. Alexander was eager to get through the Taurus passes and into Cilicia so he marched south to Cappadocia without making any attempt to conquer it. 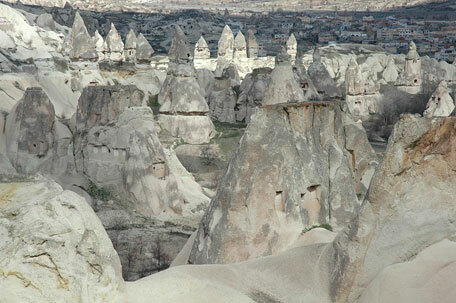 Following Alexander we stop at the highlights of Cappadocia and have a leisurly day. The area is a geological wonderland, full of fairy chimneys, rock-hewn churches, and underground cities. This morning we follow the route of Alexander through the rocky landscape of Cappadocia to Cilicia. We visit the rock-cut monastery, Eski Gümüşler. Stop at Tyana, modern Niğde, we drive through the Cilician Gates (on the old road) and descend into Cilicia arriving at Tarsus ready to explore this ancient city. This morning we drive on to Kinet Hüyük, ancient Issus. In the late afternoon we board our flight back to Istanbul. We bid our farewells to one another at dinner. Participants are transferred to the international airport to connect with their return flights. The itinerary involves a good deal of walking. Good comfortable footwear is therefore essential. It should be pointed out that the tour may not be suitable for passengers who require assistance or who have difficulties with mobility. Please make sure you enjoy hiking, good local food and cultural interaction. A “gulet” is a traditional wooden Turkish yacht modified to accommodate passengers. The gulets in Turkey have high safety standards and comply with local government regulations, which are monitored thoroughly by the coast guard. 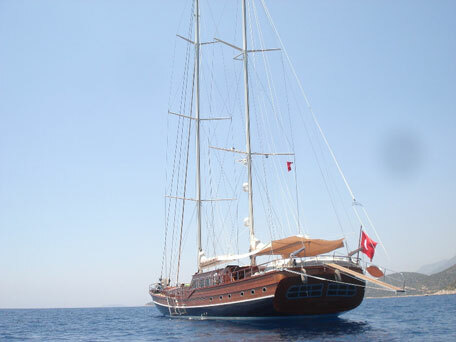 Our gulet is a magnificent 38-metre vessel with air-conditioned cabins beautifully finished with mahogany paneling. Each cabin has a private bathroom with a shower. There is plenty of room for relaxing and reading in the lounge or on the decks outside. A large kitchen and bar area is located towards the back of the gulet, and meals are served in a large open area at the stern. Canvas and sailcloth awnings cover the dining area and a portion of the foredeck and provide shade for comfortable lounging. Discretionary gratuities to your tour manager, driver.